To be clear, it should be stated that the employee directed portion of the Intel pension plan is superb, in large part due to its open nature in which employees can invest in virtually anything via a brokerage equivalent account. The problem is specific to the profit sharing and “Target Funds” portion, both of which have been infiltrated by hedge funds. What Intel and many other firms still do not seem to fully realize is that these are essentially employee assets, not company assets. And even though the company is managing the profit sharing component of the plan on behalf of employees, these are still “employee assets.” Put more directly, within this plan lies the average employee’s life savings and allowing someone to speculate with them is an absolute breach of the ERISA prudent fiduciary requirement, Section 404C. The problem is simple and involves Intel’s decision in 2011 to allocate 25 percent of its profit sharing and target related retirement options to a basket of approximately 25 hedge funds, affecting billions in employee retirement assets. “Target funds” are popular with many investors today. 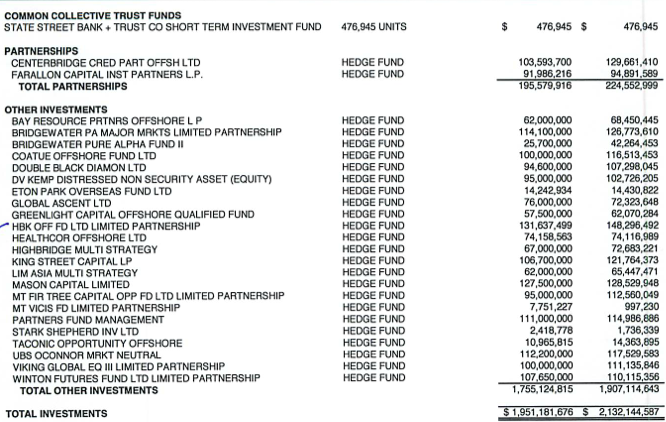 The hedge funds that have infiltrated the pension plan include buyout funds, funds speculating on commodities, etc. Not only do the hedge funds charge annual management fees 10 times higher than standard wholesale level fees for such plans, 1.5 percent versus .15 percent, they also take 20 percent of all future profits on top of the management fees. If Intel executives want to make such investments in their personal portfolios, that is one thing yet this level of institutional gambling with employees assets makes no sense. Returns on these hedge funds greatly lagged the market in 2013 and while some advocates, including Mark Gardiner of Intel Capital, who until recently chaired the Oregon Investment Council’s $70 billion PERS portfolio, claim hedge funds are designed to outperform in more difficult markets, there is no escaping that this is an absolute mess. Oregon PERS is similarly aggressively increasing investments in speculative hedge funds. Further complicating this issue is that Intel labels the hedge funds A thru V, not even having the courage to state exactly who they are in disclosures to employees, thus eliminating an opportunity for participant oversight. For example, Fund C is a “Directional Fund” that invests in forwards and future commodity markets” while fund F is a “Technology based long/short fund. Performance metrics include “sharpe” and “sorption” ratios, an explanation of which is not worth your nor my time. HBK, whose office is listed as being in Dallas, Texas, does do the required SEC ADV filing yet in its disclosure it claims it does not manage assets for pensions. In addition, in the required ADV Part 2 filing it does not directly disclose its fee structure. This is a clear breach of the SEC requirement, apparently no one at the SEC has looked at the disclosure. Another complication for Intel is that it has not filed the required 990-T tax form to disclose what it owes in UBIT or unrelated business income tax from these pension based partnership investments. This is a special tax on tax exempt entities, like pensions, who invest directly in operating businesses via private equity and hedge fund partnerships. The way to avoid UBIT complications is to invest in publicly traded equities. This 990-T filing is also designed to prevent tax exempts from trading valuable unusable tax deductions they are allocated in the partnerships to taxable partners who can fully use them. The IRS rule that specifically prevents this trading of deductions is the “fractions rule.” Today 95 percent of the investments dollars made into partnerships managed by the largest private equity and hedge funds is composed of tax exempt investors including pensions and endowments. It is not hard to see the potential for abuse when such a large percentage of these valuable tax deductions being allocated remain unusable because they belong to tax exempts like the Intel pension plan. Hedge funds may argue that they allocate tax deductions based upon the “economics of the deal,” what they call target allocations, which is simply a euphemism for allocating based upon cash flow, that is, who gets the cash. It is as if they have invented a separate tax system for themselves, one playing by a different set of rules. I might say, well, that is fine but there is this thing called the tax code and it does not define profitability based upon who gets the most cash. Hedge funds primary source of cash is often issuing debt under its portfolio companies name and paying themselves rather than reinvesting in the business. A leading company like Intel should have no role in enabling such a scheme. The UBIT’s overall purpose is to maintain a level playing field in commerce and prevent pensions from running active businesses via a partnership structure within the tax exempt structure and allow the business to avoid all tax. While Intel might claim that there was no UBIT tax generated in any of its 25 hedge fund partnerships, that is extremely unlikely, some might say ridiculous. 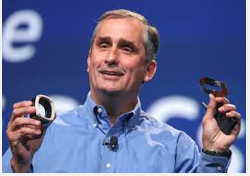 Intel is a great company, perhaps the most critical industrial firm based in the U.S. Often forgotten is the scale of manufacturing Intel does at home and the remarkable peripheral benefits that occur, both in seeding new companies and supporting government services at all levels. In contrast Google and Facebook are wholly structured based upon a desire to sell personal privacy, using ridiculous tax schemes to avoid tax and accumulate cash for acquiring companies and stifling both innovation and competition. Some would argue these tax schemes should be considered criminal. Apple engages in similar tax schemes and metes out punishment to any publication that dare disclose how it conducts its business, particularly in China. In contrast to Google, Facebook and Apple, Intel stands as a beacon of integrity and opportunity. While most analysts will focus intently on Intel’s earnings, to be announced later today, of much greater interest to long term oriented investors like myself should be how the company responds to these observations and more specifically how long it takes to remove hedge funds from its employee owned pension plans.